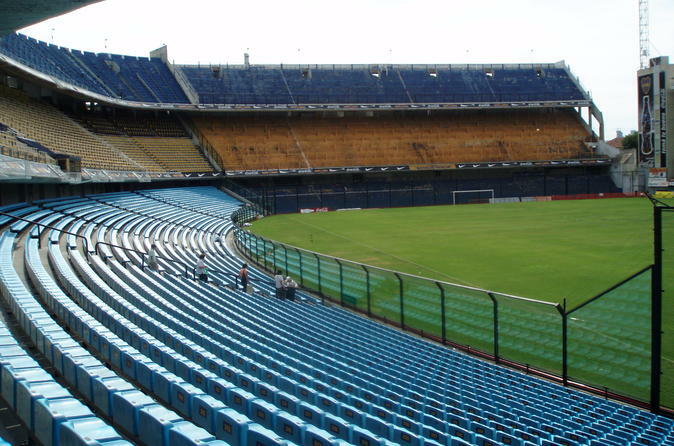 Get the full Argentine soccer experience with this 4-hour visit to the soccer stadiums and museums in Buenos Aires. Follow your local soccer-loving guide (or futbol, as the locals call it) on a behind-the-scenes tour that includes visits to Diego Maradona's box and the 'popular' section of the stadium. In the museum, see memorabilia like soccer trophies and jerseys from many past Boca players. Continue to El Monumental stadium and the River Plate Museum, with its own collection of idols, uniforms and trophies. All entrance fees and round-trip hotel transportation are included.